South Africa has a long braai history. 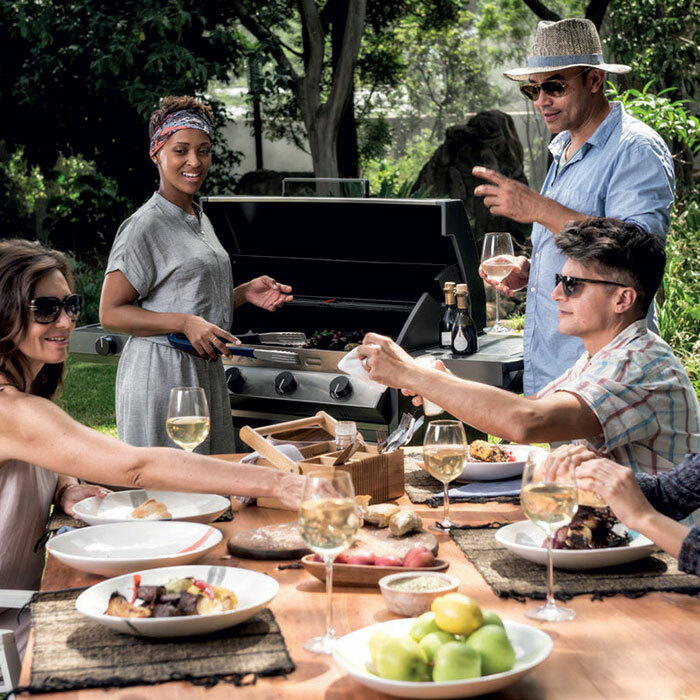 The origins of the word braai is Afrikaans for barbecue or grill and originates from early Dutch settlers who sailed to Cape Town a few centuries ago.A South African braai is more than just your standard barbecue.Encompassing flavoursome food and great company, a braai is an occasion; a celebration of outdoor life! 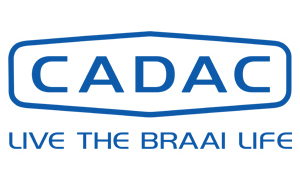 We invite you to come and ‘Live The Braai Life!’ with us at Cadac. 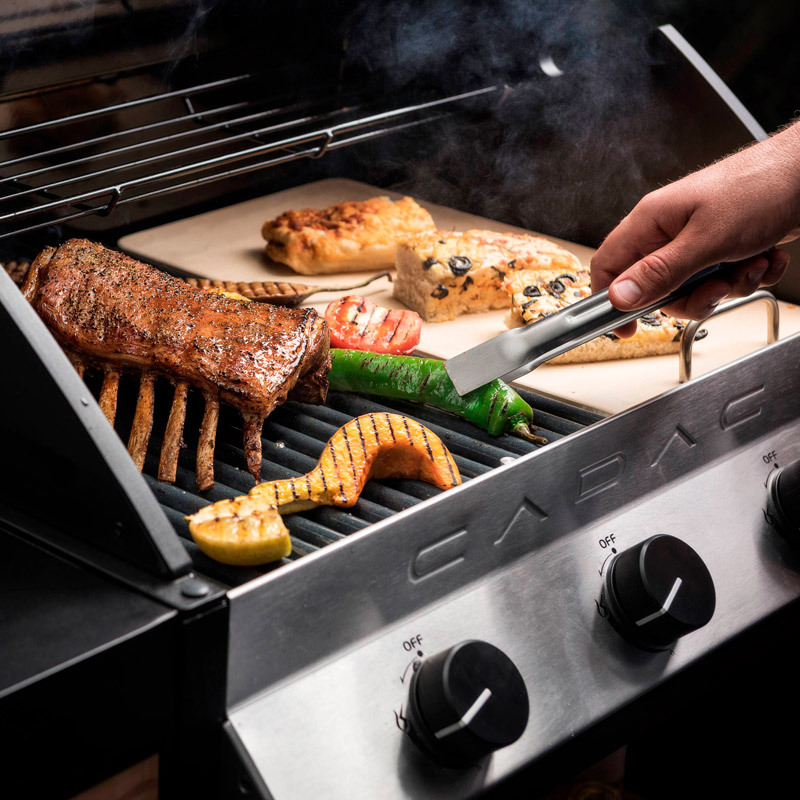 One barbecue, endless possibilities!The Cadac range of interchangeable modular surfaces includes: baking stones, warmer pans, reversible grills, teppanyaki plates, hot plates and rotisseries. 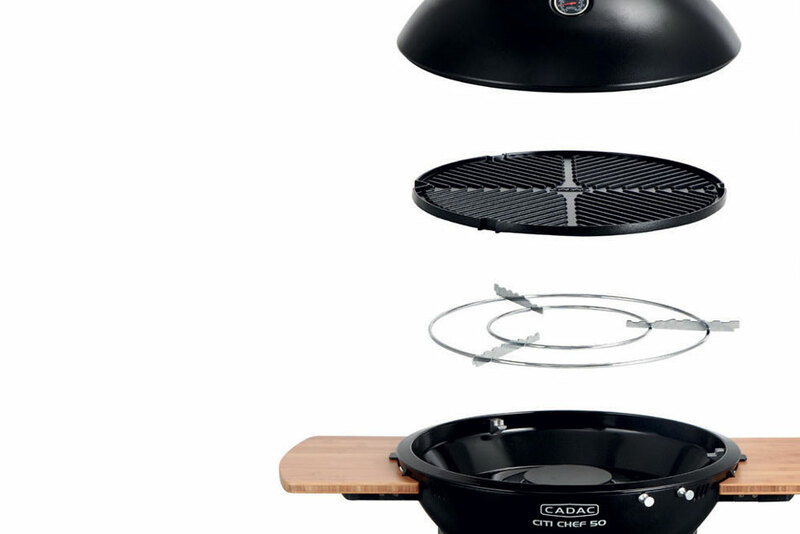 This wide range of modular cooking tops are all effortlessly interchanged with the BBQ grids (excluding the rotisserie). 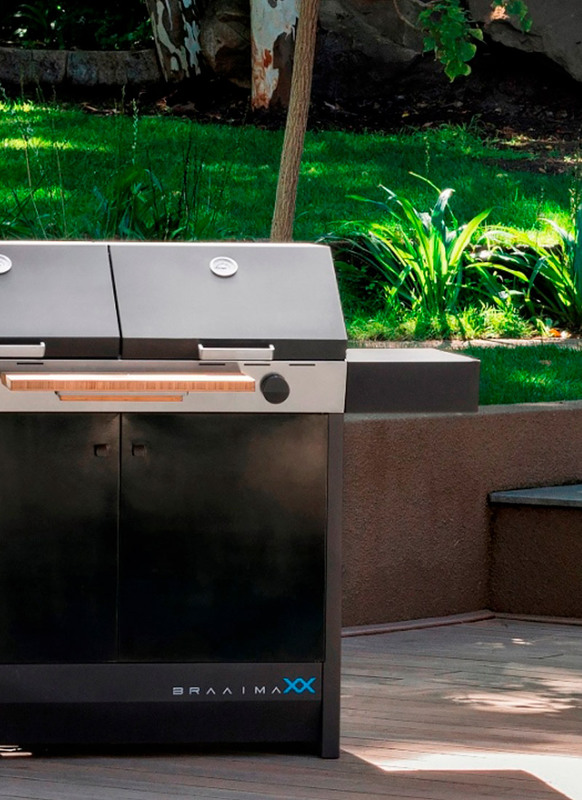 From grilling to baking and slow cooking to broiling, the Cadac Modular System breaks the traditional boundaries of conventional outdoor dining. Be Brave, Bring Out The Gourmet In You. 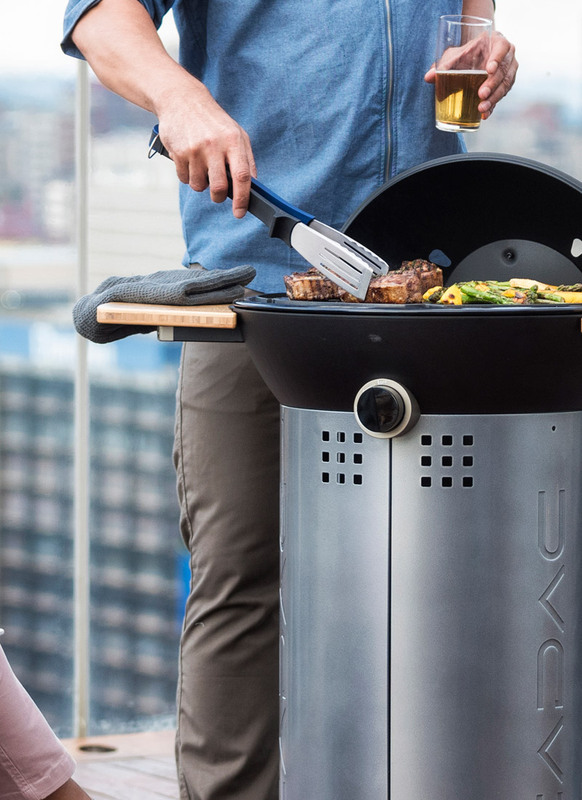 Cadac patio barbecues have been designed with you in mind.The Easy Clean System ensures you can spend less time cleaning and more time cooking! The smooth, enamel coated burner box guarantees an effortless sponge down, and an angled removable drip tray facilitates the draining of grease and water into an easily accessible drip cup. 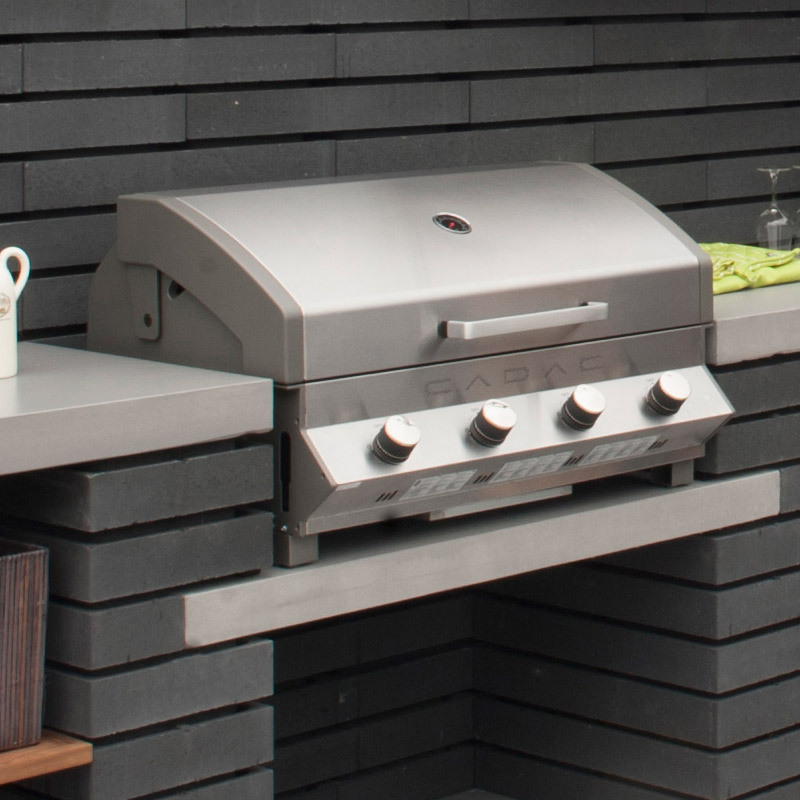 The non-stick, vitreous enamel BBQ grids and flame tamers can be removed and cleaned with ease, simply wipe down with warm soapy water or pop straight into the dishwasher! 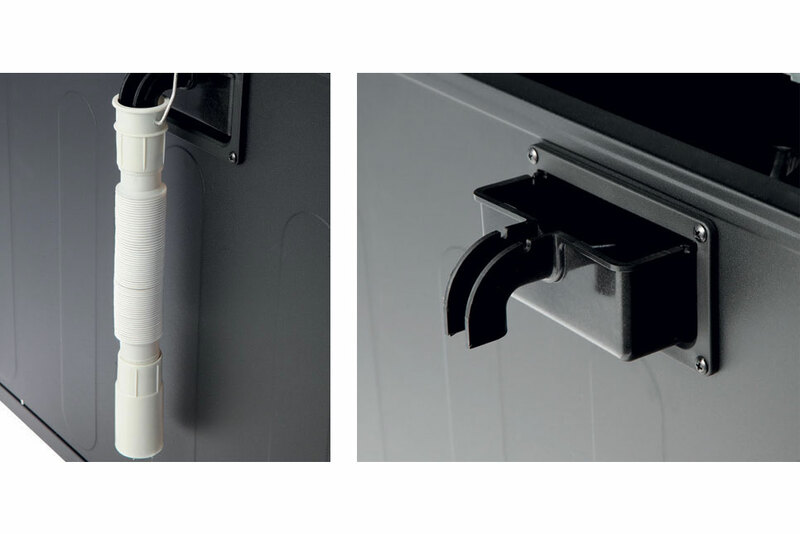 Cadac’s cleaning innovation provides you with a simple but ingenious telescopic overflow pipe, through which excess water from the drip cup can be tapped into a bucket or drain. 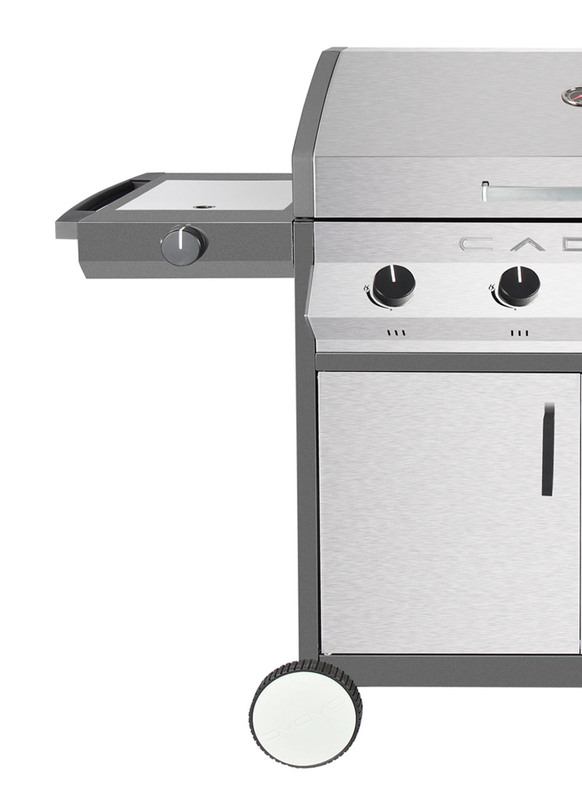 Cadac patio barbecues exclusively house the leading grill technology; the Thermogrid. 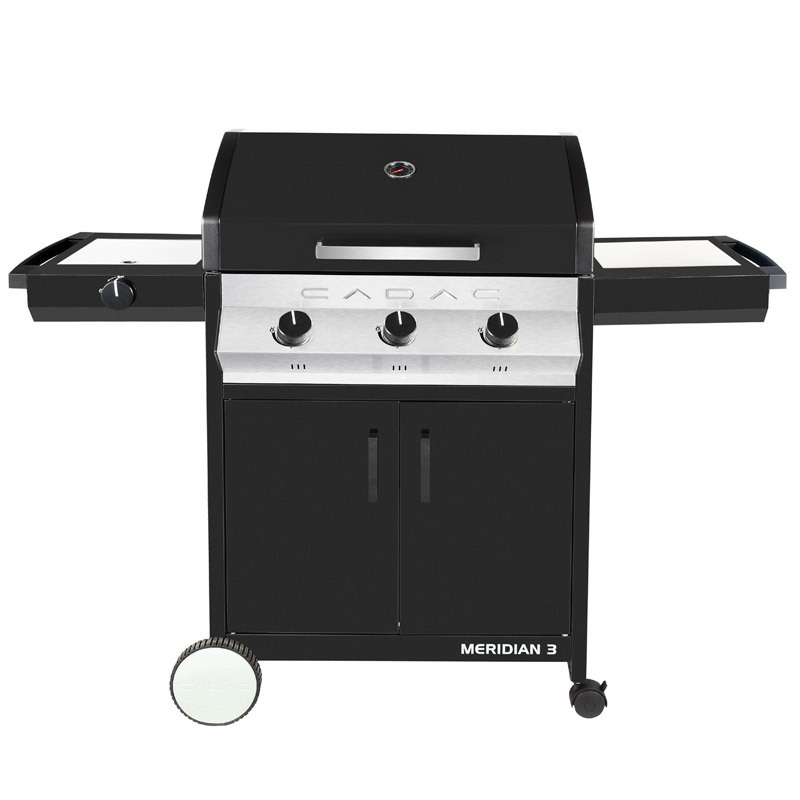 The Thermogrid improves the quality of your cooking by providing even heat distribution across the grill surface. They heat up quicker than cast iron and offer more responsive temperature control. 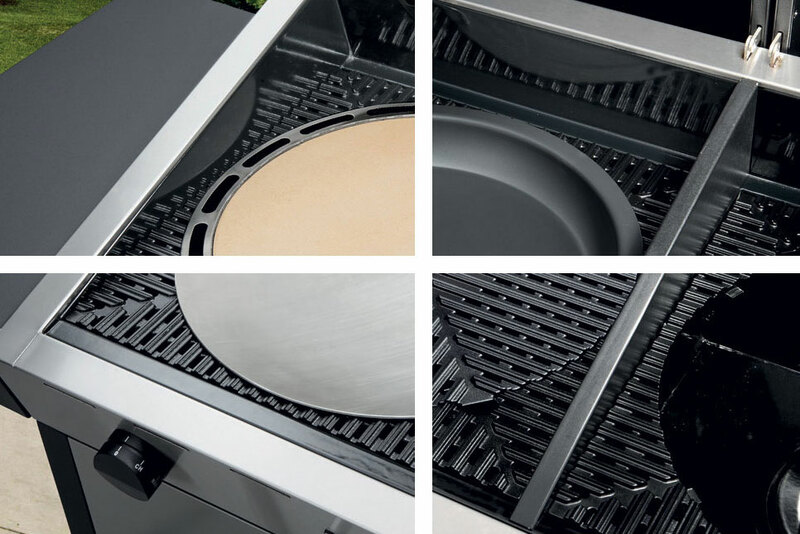 These unique U-shaped grills trap and distribute heat evenly across the cooking surface, resulting in a reduction in gas consumption of approximately 34%. 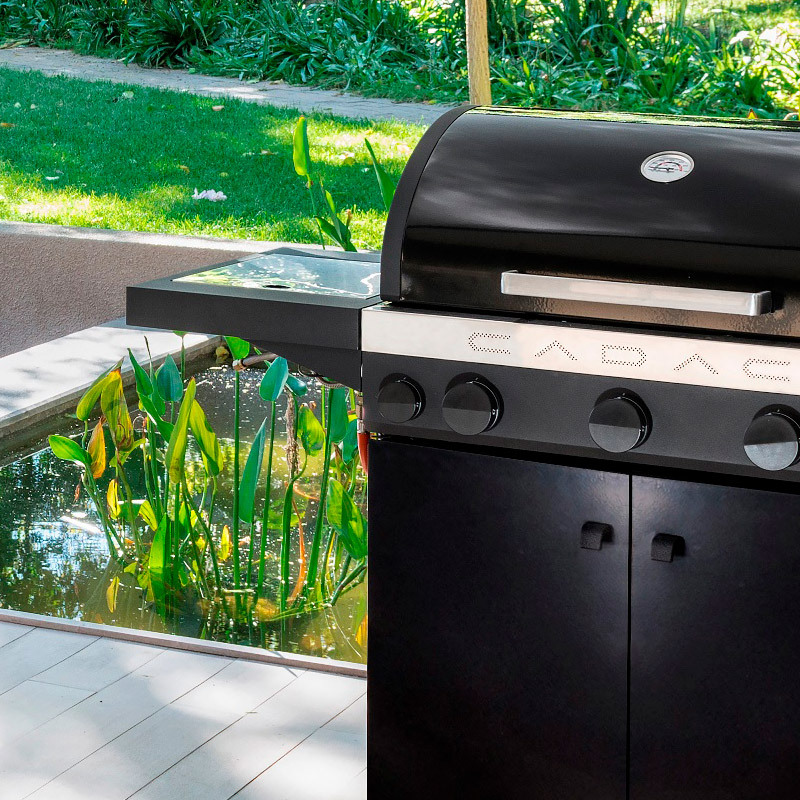 Thanks to their cleverly engineered design, Cadac barbecues can be built in just 30 minutes!Assembly is quick and simple due to pre-assembled parts reducing the number of components and a clear concise build manual. 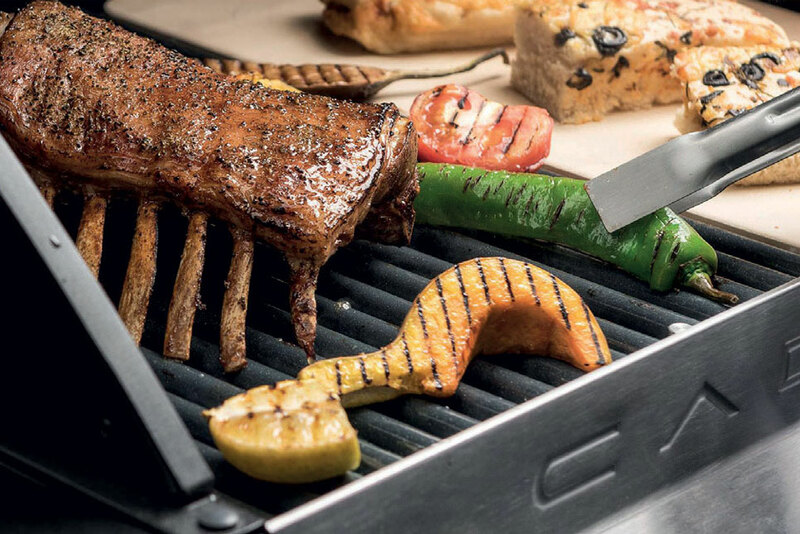 New for 2018 – the Green Grill coating is the latest innovation from Cadac.Made from an organic ceramic, the Green Grill coating is environmentally friendly and non-toxic. 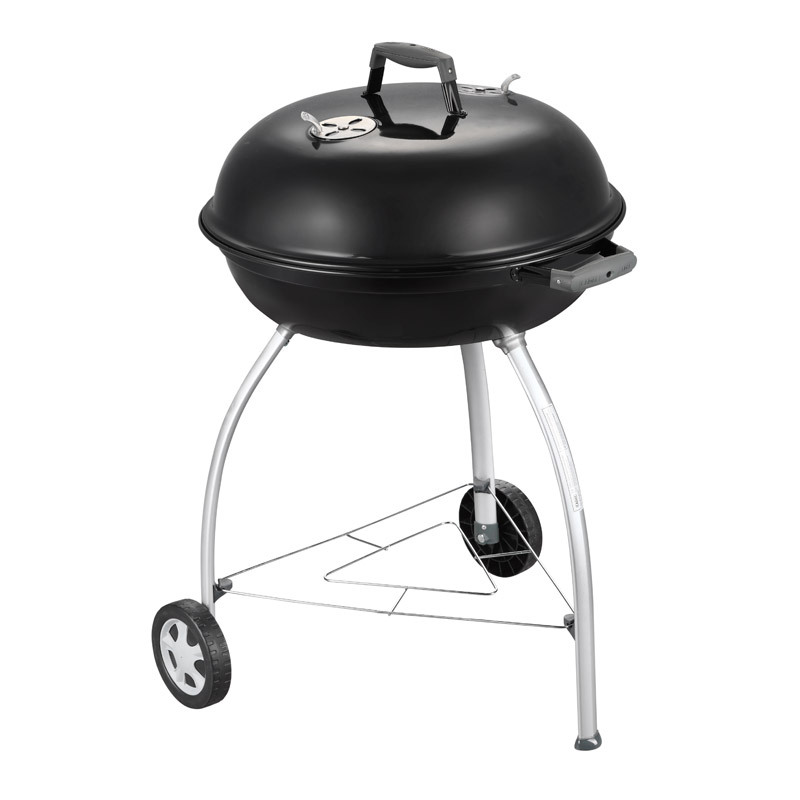 Improved durability, scratch resistance and coating hardness separates the Green Grill from traditional non-stick coatings without compromising on the ease of cleaning. 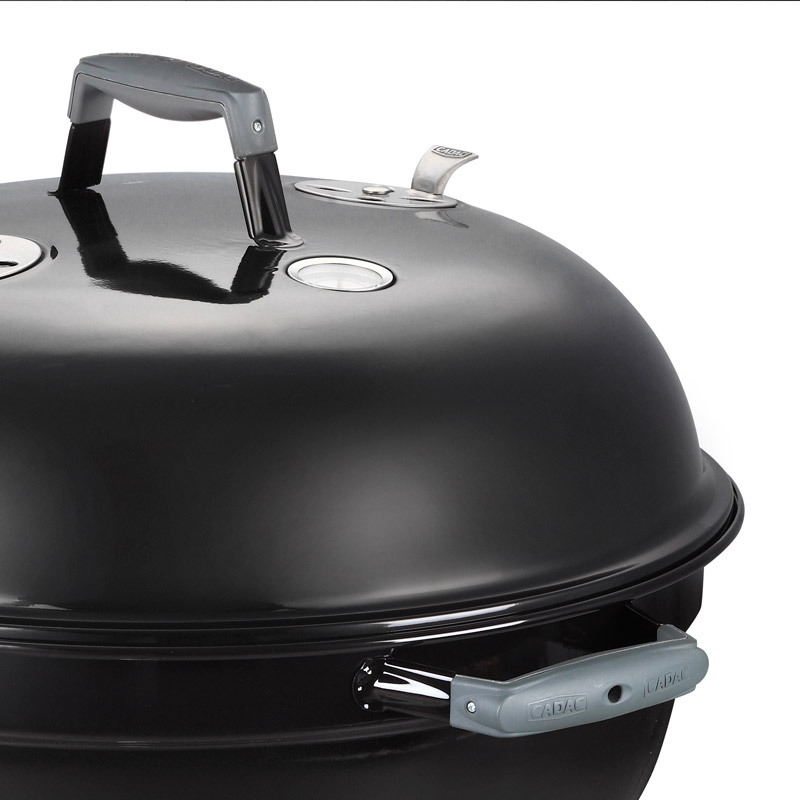 Green Grill withstands higher temperatures, distributes and retains heat better, resulting in a lower gas consumption. I Barbecue a Gas sono coperti da garanzia limitata contro i difetti di fabbrica. What would you like to cook? Choose the oven according to the food you want to prepare. Our ovens offer the possibility to cook many dishes, to satisfy the tastes of the whole family. Choosing the right oven allows you to enhance your special recipes, telling a lifestyle. Discover the “made in Fontana” proposals, traditional and refined dishes for those who love good food. Bake in the oven at 250-270 ° C for 45 minutes. Cook in the oven at 400 ° C for about 20 minutes. Cook in the oven at 320-350 ° C for 15 minutes, turn and continue cooking for another 15 minutes.